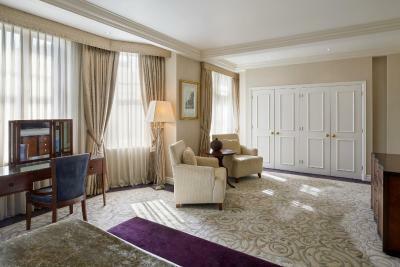 Lock in a great price for The Landmark London – rated 8.9 by recent guests! Everything! Spa pool and champagne brunch over the top amazing. Olga the front desk door woman was just wonderful. Beautiful building and perfect location! 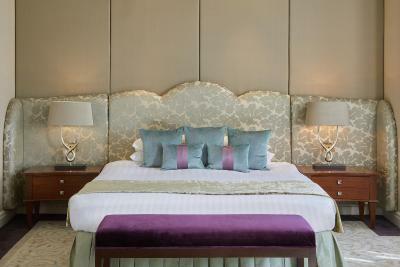 Gorgeous rooms, reception staff was very accommodating and helpful. Beds are comfortable, the bathroom was exceptional. Location is by far one of the best things about this hotel. I would stay here again. That it had a pool and that they have twice a day hours for kids usage. The bedrooms were spacious and incredibly clean with a fantastic bathroom. One of my favorite hotels! Always good. Great staff, beautiful hotel, great location. 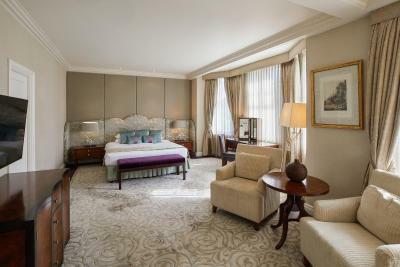 The Landmark London This rating is a reflection of how the property compares to the industry standard when it comes to price, facilities and services available. It's based on a self-evaluation by the property. Use this rating to help choose your stay! 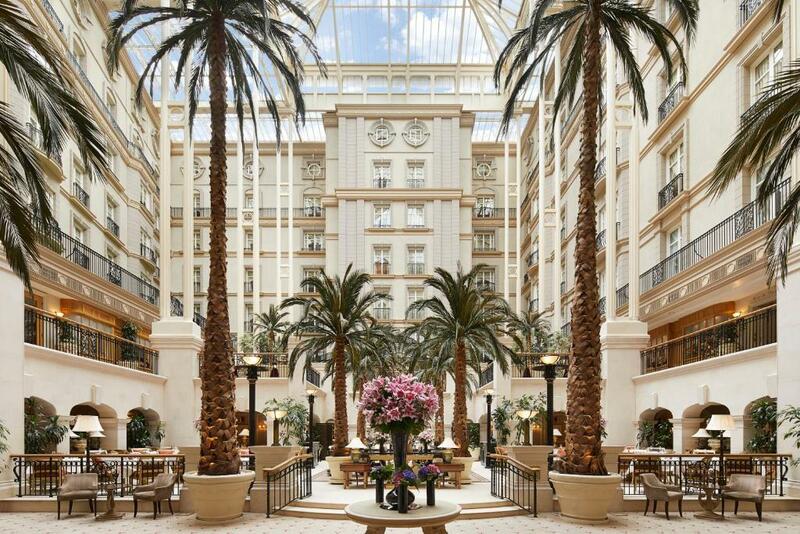 One of our top picks in London.In the heart of London’s fashionable Marylebone, this deluxe hotel has a stunning glass-roofed 8-story atrium with towering palm trees, an award-winning restaurant, luxurious bedrooms and an indoor pool and spa. 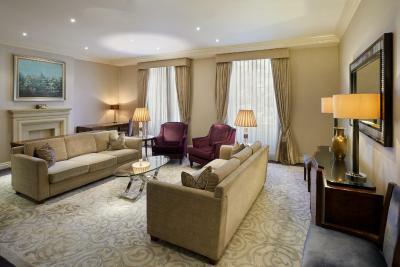 The spacious air-conditioned rooms are decorated with fine fabrics and elegant furniture. 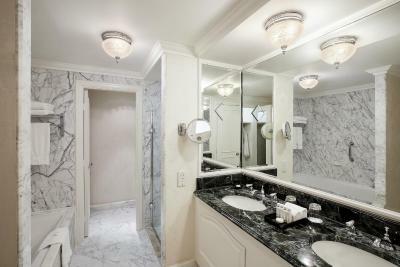 They feature a flat-screen satellite TV, free Wi-Fi access and marble bathrooms with designer toiletries. At the Spa & Health Club guests can indulge in relaxing and therapeutic treatments including massages, reflexology and hot stone treatments. 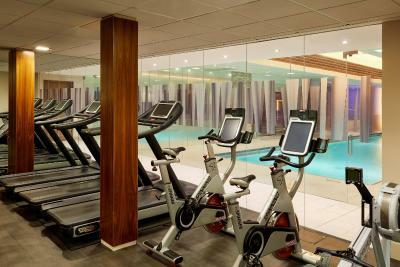 It also features a steam room, sauna, relaxation room and a fully equipped gym. Located at the heart of the atrium, The Winter Garden offers fine modern cuisine, while Great Central Bar & Restaurant offers European dishes in sophisticated surroundings. 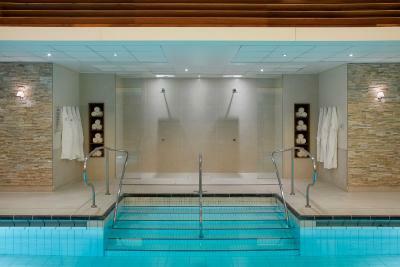 Guests can also relax in the garden terrace and the Mirror Bar, and have free access to Spa at The Landmark London. 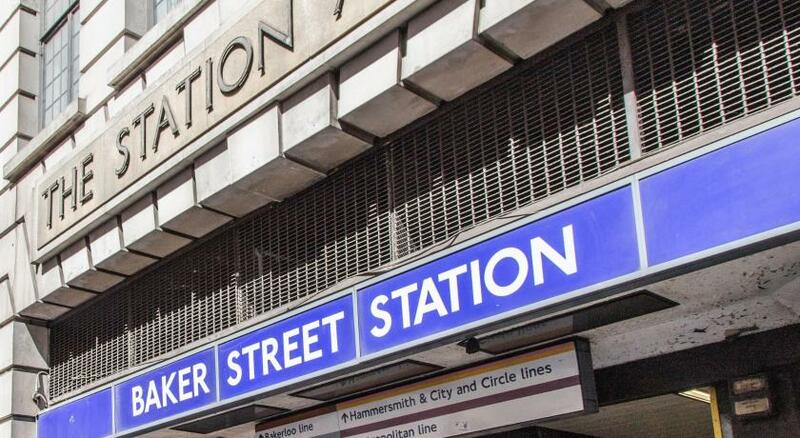 Regents park and Lords Cricket Ground are both less than 10 minutes’ walk away. 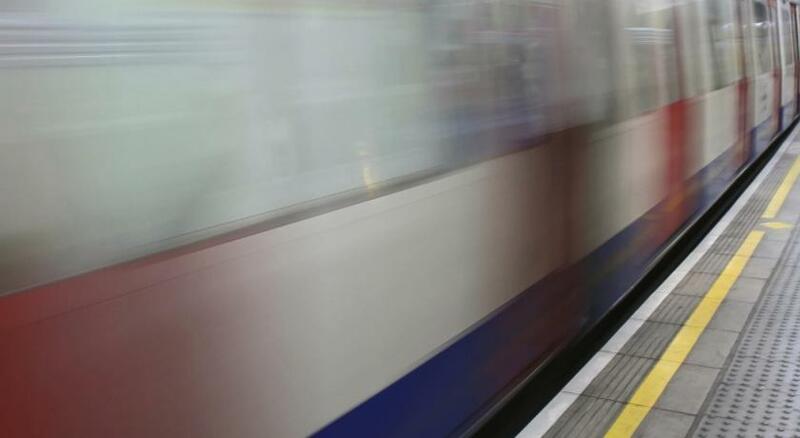 Marylebone Tube is 150 feet away, providing excellent access to all London’s attractions. 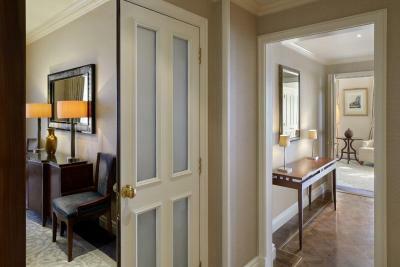 When would you like to stay at The Landmark London? 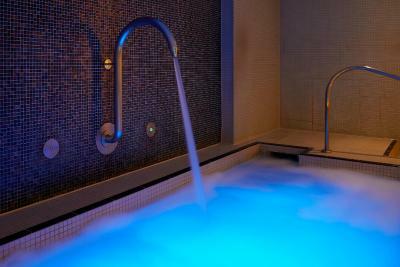 These rooms feature luxurious beds, a flat-screen satellite TV and a bathroom with a deep bath. Private parking is available on site (reservation is not possible) and costs GBP 55 per day. With walk-in shower and separate bathtub. Deluxe rooms can be connected to one another, or to one of the deluxe suites. With a coffee table, a 2-seater sofa and armchairs, a walk-in shower and a separate bathtub. Many of the executive rooms can be connected to one another. All Family Rooms can accommodate up to 2 adults and 2 children. 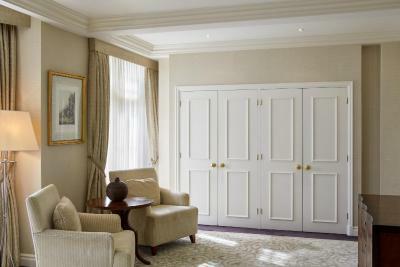 Some Family Rooms can be connected to an Executive Room subject to availability and an additional fee. Room open through an archway, with sitting area with a coffee table, a 2-seater sofa and 2 armchairs. A number of suites have ornamental fireplaces, and some of the suites can connect to each other or to one of the superior rooms. Marylebone Suite: Including a comfortable living area separated from the bedroom by French doors, this suite features 2 digital TVs with over 70 channels, an iHome music system and a Nespresso machine. If an additional guest room is needed, these studio suites can be connected to a Superior guest room. The Atrium Suite provides views of the hotel atrium. 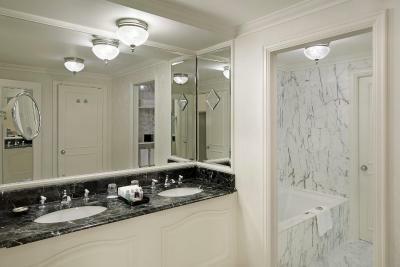 These one-bedroom suites feature a separate living area, digital TVs in the living room and bedroom, and a white Italian marble bathroom. 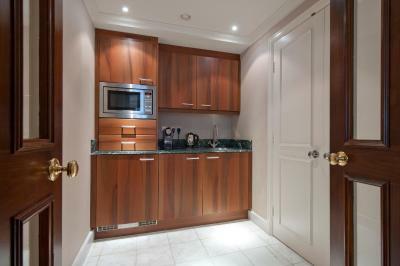 Also included are an iHome music system and a Nespresso machine. The Landmark Suite includes 42- and 32-inch digital TVs with over 70 channels, a DVD player, an iHome music system and a Nespresso machine. 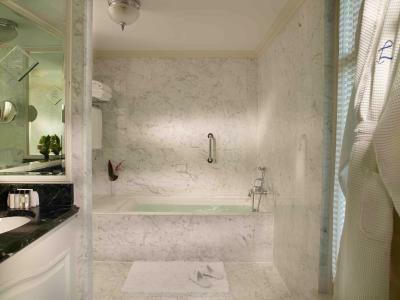 These suites also feature a kitchenette and a luxurious marble bathroom with a ‘monsoon shower’. Landmark Suites are also available with 2 or 3 additional interconnecting Deluxe guest rooms. We are delighted to welcome you to one of the most popular 5 star hotels in London, The Landmark London. 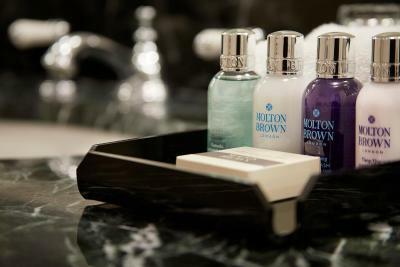 We rank among the finest of the capital’s leading luxury hotels in London, and have a distinctive style and ambience that makes us unique. Our luxury hotel combines classic British elegance and grandeur with the deluxe facilities required by today’s discerning travellers, such as hotel conference rooms, fantastic restaurants and bars, a luxurious Spa & Health Club with a 15 metre swimming pool and a gymnasium. House Rules The Landmark London takes special requests – add in the next step! 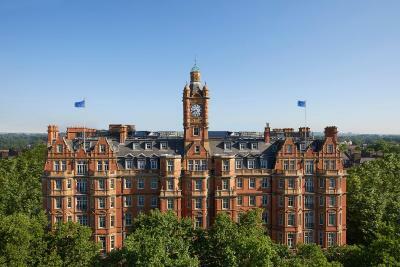 The Landmark London accepts these cards and reserves the right to temporarily hold an amount prior to arrival. It was noisy from a wedding but they offered to move our rooms. The room and facilities were immaculate and dinner in the Winter Garden is spectacular, amazing venue and lovely staff who were friendly but no intrusive. I had high expectations of this hotel given its great reviews and price. I was unfortunately disappointed. I raised some of these concerns with the staff members (namingly Tamara who listened carefully and promised changes for the future) but I cannot get my experience and time back. So let’s get started: - The furniture in the room is very dated. - There was a thin layer of dust on most items - Food, both breakfast and room service, was very bland/blah - Beds are EXTREMELY uncomfortable. I read some of the reviews that stated this prior to my booking but My God it was the worst bed I have ever slept on! It’s hard, the springs poke into your back (don’t even think about sleeping on your stomach! ), the mattress is so old that it has two areas which are indented where people have slept most. I can go on but the bottom line is - horrible sleep and all kinds of body aches - The shower fluctuates in temperature from antarctica and hell fire randomly. I got burns/ rashes on my chest - The housekeeping staff does not respect the Do Not Disturb sign post 3pm. I learnt that you have to specifically ask for an exception at check in (absurd in my opinion) Overall, I will not recommend this hotel, especially for the price you pay! We stayed for our first wedding anniversary on 9th March. We were put into a room on the first floor. At around 10pm, some loud music started right below our room. We called reception because the music was very disruptive, the floor was shaking due to the volume. They promised the music would be off within an hour. An hour later, the music hadn't stopped, it appeared to be getting louder. I called reception again and this time the member of staff offered to move us to the fourth floor. This wasn’t what we had planned for our first wedding anniversary and he offered us a full refund for our inconvenience, having to move rooms at midnight. Unfortunately, a month later, we are still waiting for our refund. For a 5 star hotel, I would expect the level of customer service to be better. If a refund is offered it should be honoured promptly. I have contacted booking.com twice about this but to no avail. I would like to know when we will be refunded for our stay? I would not recommend this hotel. The hotel is in a good location close to marylebone station. We had no hot water when we arrived in the room. Was working on and soon resolved. Everything super! I first visited the hotel in 2001 for a short meeting & always vowed I’d take my wife here for a short stay. From the moment you step into the hotel is pure class. We stayed in a junior suite & was superb. I’d read here by only a few that breakfast was disappointing, it was was well worth it for choice in a lovely environment by the palm trees. Top class facilities and food and staff the very best. We stayed in one of the executive rooms and we were very impressed, very spacious and felt luxurious. beautiful hotel, super friendly staff and brilliant breakfast. 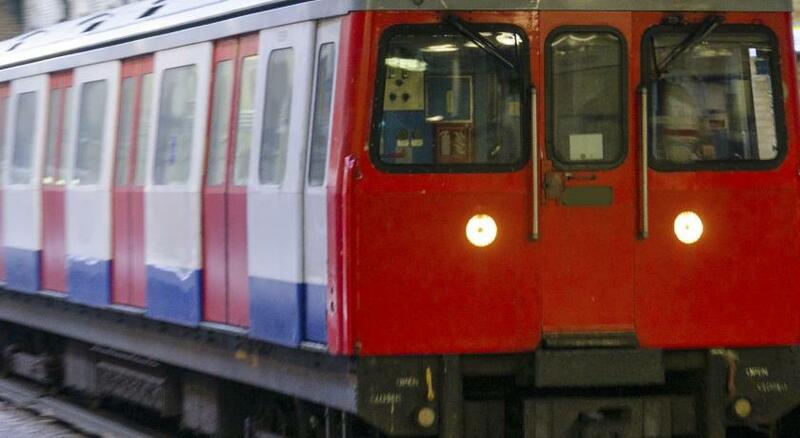 Really close to Marylebone underground station. Everything. Excellent location, brilliant staff, huge room and comfortable bed, fantastic breakfast.